Swedish power metal of the highest class　AXENSTAR will release their 6th album "Where Dreams Are Forgotten" through Inner Wound Recordings on November 28th in Europe and on December 2nd in North America. 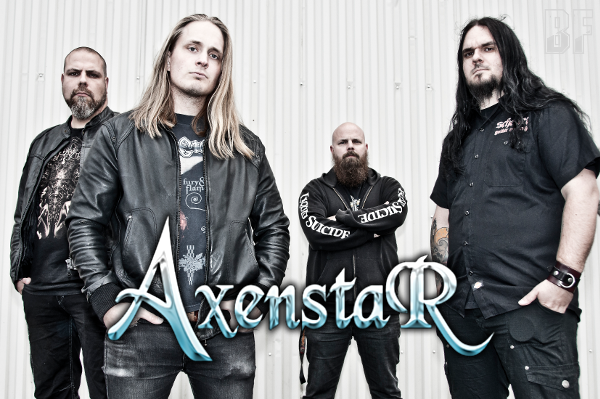 Originally the band was formed in Västeräs as a metal cover band in 1998 under the name POWERAGE, but shortly switched name to AXENSTAR and started to write their own material. 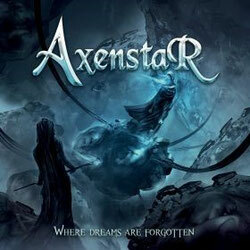 AXENSTAR has released so far five albums: "Perpetual Twilight" (2002), "Far From Heaven" (2003), "The Inquisition" (2005), "The Final Requiem" (2006) and "Aftermath" (2011). Each of them received really good reviews all over the world and those Japan version were also released. The band has played at big festivals such as Motala Metal Festival and Sweden Rock Festival, had shows with Nocturnal Rites and they also appreared various clubs in Sweden. They have been on their first European Tour as the opening act for FALCONER in 2004 and their UK tour after their fifth album was released in 2011. 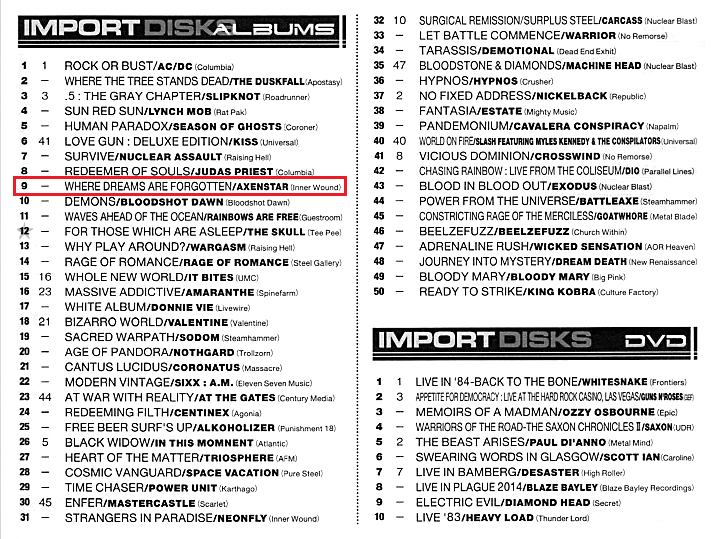 "Where Dreams Are Forgotten" was mixed by AXENSTAR and Pelle Saether (Wolf, Harmony, Månegarm) at Studio Underground and mastered by Daniel Beckman (Månegarm, In Mourning, Deals Death) at Ridge Street Studios. Artwork by Felipe Machado Franco (Blind Guardian, Rhapsody of Fire, Iced Earth). This album is a perfect mix of melody and power by the strong songwriting and definitely will be loved by the fans of melodic metal.